One of the best economics and political magazines on the market is The Economist. The reason for my belief is that the writers, while having a deeply intimate knowledge of a subject, are outsiders to the U.S political scene. They have no stake in the game and therefore can be honest about what they’re seeing. You’d think a party that attracts voters by calling Islam a backward, totalitarian ideology, openly using the term “rotten Moroccans”, and calling for banning the Koran would have some trouble accusing anybody else of a “hate-campaign”. But they’ve got gumption, they’re smart, and they know how this stuff works. When a far-right party talks about “rotten Moroccans”, they’ll vaguely alienate moderates, and they’ll create solid anger against them amongst people of Moroccan ancestry, who would never have voted for them anyway and who lack the political power to do much about them. On the other hand, they may provoke the Moroccans to call them “racists” or compare them to Nazis. That’s the reaction they’re looking for. Being compared to Nazis has an intense solidifying effect on their own voters; anyone who may have voted for them, or considered voting for them, now feels insulted and aggrieved, and no more moderate right-wing party can provide them with a satisfactory retaliation for what they consider the injustice of having been compared to a Nazi. The dynamic a party…wants to create is us-against-them; comparing them to Nazis helps them solidify that divide and anchor their membership. Now, I’m sure you’re thinking the above paragraph is all about the Tea Party. You’re wrong. It’s about the Geert Wilders’ Party for Freedom (PVV) in Denmark. But the correlation of actions between Tea Party tactics and the PVV are consistent. I really wonder if Tea Party members, with its “birther” and anti-immigration movements, really want to be perceived as America’s PVV? Or if like Geert Wilders, it’s national leaders aren’t out for themselves. *NOTE: The James O’Keefe (highly edited) video has been thoroughly discredited by none other than Blaze, the online news magazine of FOX News’ Glenn Beck. ThinkProgress, a liberal news organization, reported on the newly confirmed GOP majority assumption of the House. What I’ve been wondering and concerned about ever since reading of the huge donations from corporate America, thanks to Citizens United, was if the newly elected GOP would be working for me or for their uber rich contributors. Guess I have my answer today. Today, as Rep. John Boehner (R-OH) was sworn in as the Speaker of the House for the 112th Congress, ThinkProgress witnessed a group of Koch Industries lobbyists entering the Capitol along with members of Congress and their families. Tim Phillips, a former business partner to Jack Abramoff who now leads the Koch front group Americans for Prosperity, was with Nancy Pfotenhauer, a former corporate lobbyist for Koch Industries. 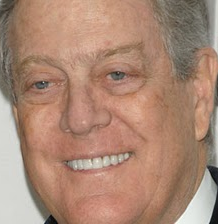 ThinkProgress learned that David Koch, the polluter billionaire who has bankrolled groups organizing the Tea Parties and much of the modern conservative movement, was also in attendance in the Capitol for Boehner’s swearing-in event. After the ceremony, David Koch walked up to Rep. Frank Guinta (R-NH) — a freshman Republican Koch helped to elect using his front group, Americans for Prosperity — and asked him to confirm that he will be attending a party that Koch is hosting for Republicans. Guinta said he would be at the party, which began at 5:00pm today. Koch has been one of the most active players in Republican politics in the Obama era. His group Americans for Prosperity helped orchestrate much of the Tea Party movement; he funds many of the top conservative think tanks, like Heritage and the American Legislative Exchange Council; and, he also ran tens of millions of dollars in attack ads to elect the new Republican Congress. As ThinkProgress reported, Koch convened a secret meeting of top business leaders — mostly bankers, industrialists, and oil men — to meet with the U.S. Chamber of Commerce and Glenn Beck to plan the midterm election in June 2010. ThinkProgress also spoke to Mr. Koch, and will post a video of the interview soon. 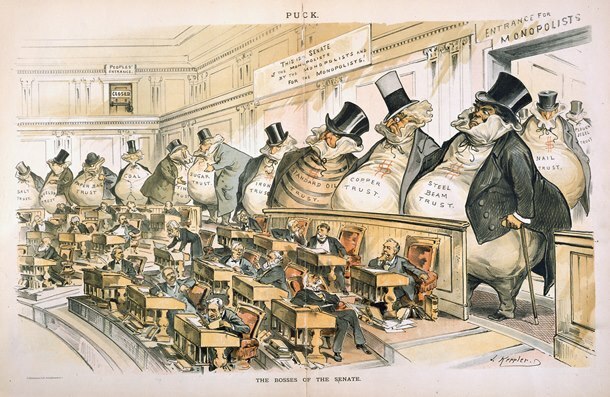 When Dickens wrote the Christmas Carol, Britain’s Parliament was dominated by faction that believed in an economic philosophy we now describe as “trickle down economics.” As far as I’ve been able to discern, the mid-1800s is the first time this economic philosophy was put into effect, more than a century before it was tried again during the Reagan administration. It failed Britain’s working class as well as the many thousands of Irish who perished during the potato famine – just as it failed during Reagan and Bush 2. Without a strong working class, the twin evils of ignorance and want are set loose upon the world, causing hunger, ignorance and want of basic necessities…and far too much misery for those who want to work and care for their families. Most of us are far too young to remember conditions during and prior to the Great Depression. But the early scenes of Dickens “Christmas Carol” offer a brief glimpse into the conditions facing working class people, then and now. Do you remember poor houses? “Old folks homes” where seniors were warehoused and forgotten? Children removed from their poor families to be given away to families thousands of miles away, potentially as nothing more than indentured servants. Likely not. But conditions then were not pretty; they were far away from the United States we know today. Is that the America to which we wish to return? An era of broken families, of hunger and want, of neglected and forgotten seniors? Yet, much of the recent Tea Party/GOP rhetoric would have the U.S. return to that earlier, Dickens’ era. Dickens was the probably the premier social commentator of his time, along with Jonathan Swift. However, this country appears to have forgotten the lessons of these early social commentators. Earlier generations learned from their past: the Great Depression era programs saved many families – and seniors – from the prospects of workhouses, family destruction, and old folks warehouses. I do not think the TEA/GOP know whereof they speak. And for that I am heartily ashamed. Would a Divided Government, At This Time, Resolve Our Challenges? Under normal economic conditions, I would agree that a divided Congress works best for the country as it modifies the extremes of both parties, thereby guaranteeing policies that work best of the populace and for business. However, we are not in normal economic conditions. Yes, the country needs a Congress in which the extremes of the majority is moderated by the minority. But right now, it appears that partisan politics is playing a larger role than is good for the country. – and an inability to foster new businesses to meet the needs of the 21st Century and global climate change. Gridlock will not solve these problems. Two years of Congress playing “Is it Constitutional?” or not will not put the American people back to work, increase tax revenues, rebuild the middle class, or solve our fiscal problems or global competitiveness. What most probably will occur, as a result of all the ideologically-speaking odd TEA party candidates being voted into office, is an accelerated stagnation of the economy and loss of global competition. If Republican had put forth serious minded candidates, rather than ideological extremes, then I would have greater confidence in a divided government as a divided government often improves policy. In this particular case, I do not have that confidence, regardless of whether or not Obama wins in 2012…because Obama winning in 2012 is the least of my concerns. My concern is our nation and our people in a world in which global competition can make or break an economy. I do not see, at present, Republicans being serious about this threat to our national economy. I know there are some people who will view this video and say, “Right on, Beck!,” while others will laugh at the satire. Which are you? Off and on throughout the last 10 years or so of Glenn Beck’s rise from HLN (a CNN station) host to the Star of Fox News, my occasional viewing of his shows has seen his move from the right to the preposterous. Excerpts from Washington Post political columnist Dana Milbank’s new book and the Mark Leibovich profile in the New York Times Magazine provide far better in depth profiles of Glenn Beck than I ever could. Anyone with more than a smattering of historical knowledge and economics research understands that Beck’s analyses are full of critical thinking holes, incomplete information, and occasionally outright deceptions. But, hey, he’s making millions each year playing the same “clown” he did on the radio in his earlier years. Unfortunately, he’s not learned to really study and read before opening his mouth. Each of his pronouncements, including his ideological views from discredited author, W. Cleon Skousen, is based on one single book authored by a single conservative author. Nothing more. No additonal reading. No more in depth study. Nothing but that one, single book. That’s hardly good research for understanding a political thought or political era. For example, in attempting to understand the Elizabethan era, I must have read a dozen or more books, ranging from her biography to politics to Elizabethan society to both the eras before and after Elizabeth I. And, yet, I would no where near consider myself an expert on Elizabeth I. In other words, you cannot understand politics and the economy without understanding viewpoints from all sides as well as the societial makeup of the era. There’s so much more to understanding an historical context than reading one book. So, how can Beck consider himself an expert on any subject based on reading a single book on a subject?